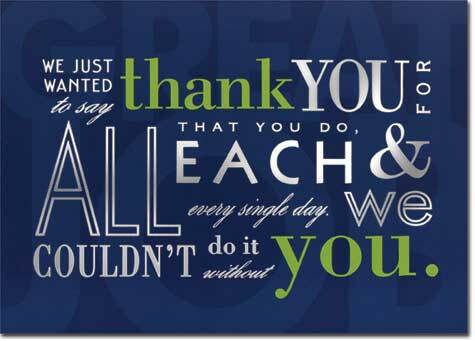 The inspirational “thank you for all that you do, each and every single day. We couldn't do it without you” adorns the front of this card in different lettering styles and colors. In the blue background, a big “Great Job” is watermarked. 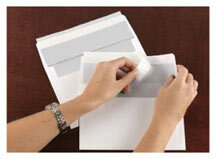 This card is made from recycled paper.